Jet Li and Arnold to create hype for Rajinikanth? 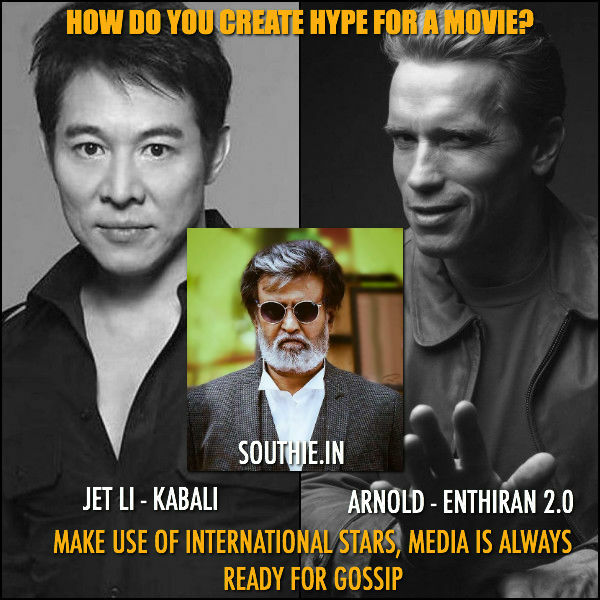 Home/NEWS/Jet Li and Arnold to create hype for Rajinikanth? Then it was the turn of Kabali makers to announce some big names to be cast opposite Rajinikanth in this gangster flick, as long as the hype was there for the movie everything is good as the movie gets enough promotions. Now that some local Taiwanese and Malaysian actors have been named Villains. All the hype has subsided for the time being.